Ian McCafferty, witness at Maelbeek metro station, tells Al Jazeera: "People started running when they saw smoke coming. The point of these attacks is to make you live in fear but I refuse to." Dutch Prime Minister Mark Rutte says Belgium has "again been hit by cowardly and murderous attacks. Our hearts go out to the victims and next of kin. 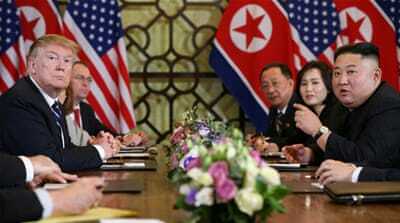 The Netherlands stands ready to help and support our southern neighbours in any possible way." 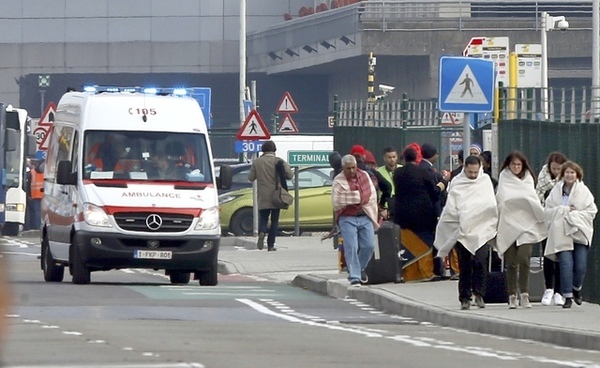 Eye witness at Zaventem airport tells APTN: "We were having lunch on the fourth floor and then suddenly heard a loud first explosion ... Then, after a few seconds, there was a second large explosion; many injured were lying near the checkout desk on the ground." Belgium's federal prosecutor says the deadly explosions at Brussels airport were carried out by a suicide bomber, broadcasters VTM and RTBF report. European Council President Donald Tusk says he is "appalled by the bombings this morning at Zavantem airport and the European district in Brussels which have cost several innocent lives and injured many others". Tom, an intern working at the Brussels airport, tells Al Jazeera: "When I heard the first explosion, a lot of people started screaming and running. 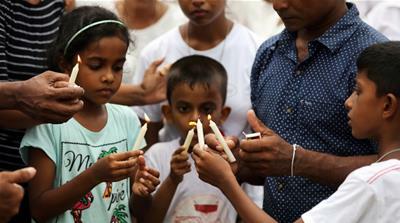 When I heard the second explosion, which was about 30 seconds after the first one, everything got chaotic; I could see panic on everyone's face, blood on their bodies." French authorities decide to reinforce security at airports, train stations and metros after the attacks in Brussels. 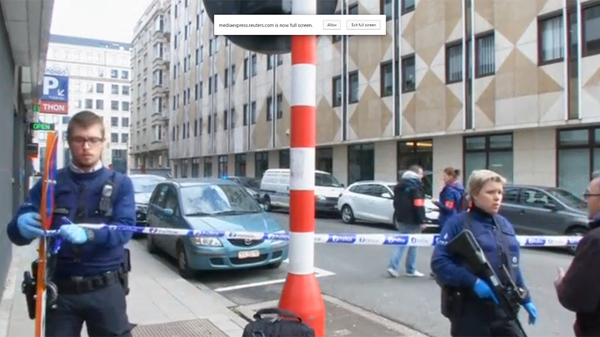 Brussels police spokesperson Christian De Coninck confirms that there were deaths at the Maelbeek police station near the EU headquarters: "There are victims, serious injury, people have died. I have no idea yet on the numbers of injured or dead." 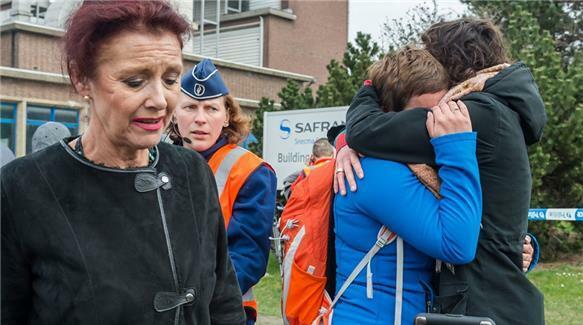 Belgian Prime Minister Charles Michel says "what we feared has happened, we were hit by blind attacks". Belgian federal prosecutor Frederic Van Leeuw calls the blasts in Brussels "terrorist attacks". Up to 28 killed in explosions at Zaventem airport and Maelbeek metro station in Belgian capital, local media reports. Peter Altmaier, the chief of staff of German Chancellor Angela Merkel, has tweeted "terrorists will never win" as he called for solidarity with Belgium. In an interview with Fox News, reacting to the attacks in Brussels, Republican presidential candidate Donald Trump said he "would close up" the US borders. "We are lax and we are foolish." Fellow US Republican presidential candidate John Kasich has also offered his opinion, saying the US and its "allies must rededicate ourselves to these values of freedom and human rights". He added: "We must also redouble our efforts with our allies to identify, root out and destroy the perpetrators of such acts of evil." Over 200 flights to Brussels have been diverted or cancelled after Tuesday's explosions, according to the flight tracking service Flightradar24. Belgium's royal palace in central Brussels has been evacuated, public broadcaster RTBF has reported. RTBF said King Philippe and Queen Mathilde were in shock, but it did not specify whether they had actually been in the palace on Tuesday. 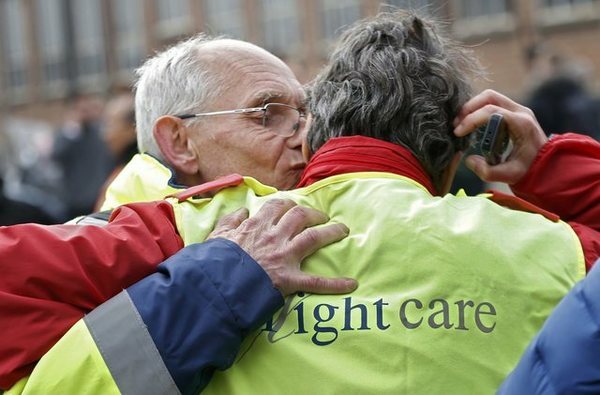 Belgian police are conducting house searches following the Brussels attacks. Meanwhile, Heath Minister Maggie De Block says several people are still trapped inside the Maelbeek metro station. "You have large segments of the population in Europe, while they may have citizenship in the countries where they've been living most of their lives ... they feel marginalised," says Al Jazeera's Mohammed Jamjoom. The death toll in the subway blast near the EU headquarters has risen to 20, according to Brussels mayor Yvan Mayeur. Earlier, Paris Mayor Anne Hidalgo tweeted that "Paris will light up the Eiffel Tower this evening in the colours of the Belgian flag" following the attacks that have killed at least 31 people. For all the latest updates, visit our home page www.aljazeera.com where you can find photos, videos and live coverage from Brussels.